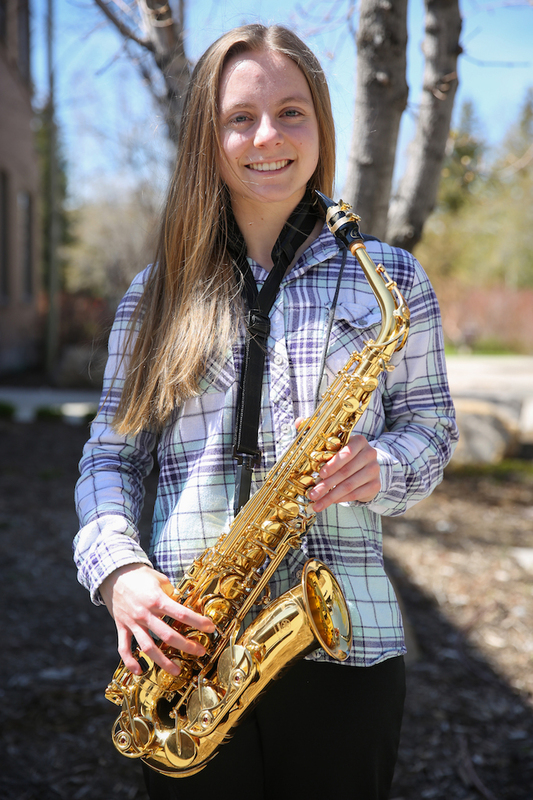 ﻿(Tanzi Propst/Park Record) Paige Billow, a Park City High School, was one of 10 Parkites who were recently named Outstanding Soloist during the 2017 Utah Music Educators Association State Jazz Festival. After graduation, Billow will study music performance at the Lamont School of Music at the University of Denver. Saxophonist Paige Billow is making a name for herself. The Park City High School senior was named one of the Outstanding Soloists for the 2017 Utah Music Educators Association State Jazz Festival, along with other Park City-based musicians: trumpeter Sam Bradford, pianist Nick Cicalese, pianist Ian Wagman, drummer Jordan Fejardo-Bird, trombonist Nathan Wales and fellow saxophonists Zane Peterson, Bryan Croce, Jonas Peterson and Joel Carpenter. Billow also has some big plans for a musical future and has been accepted into the University of Denver's Lamont School of Music to study jazz performance. "I [like] to point out all the good instruction has helped me a lot," Billow told The Park Record. "All the teachers at the high school and my private lessons have been huge assets to getting me admitted to the Lamont School of Music." Billow — who is part of Park City High School's Marching Band, Concert Band, Pit Orchestra, Dixieland Band, Pep Band and Jazz Band — cites the alto saxophone as her main instrument, but also plays clarinet and flute. "My first instrument was clarinet in sixth-grade band," she said. "I added saxophone when I joined Jazz Band in ninth grade, and I also had to learn flute in Jazz Band." Although Jazz Band has helped Billow hone her musical craft, the lessons she learned will also help her throughout her life, she said. "I like the improvisation and that you can use that in real life outside of music, because it's a real skill," she said. "It helps you adjust and adapt to different things." Just being a part of a band — whether its Concert, Marching or Jazz Band — has helped Billow work with others. "I think the collaboration definitely applies to all aspects of your life," Billow said. 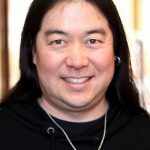 "We're all contributing to one musical goal, and if everyone isn't doing their part, it's not going to work. And the individual work it takes to make the collaboration work is important, because you have to work hard so you don't let the other people down." Performing music live has also strengthened Billows self esteem. "It has given me a better public presence," she said. "I have gotten good at public speaking and I don't get nervous getting up in front of people, which is really good." Billow wanted to start playing music because her brother was in orchestra. "That was so cool, but I didn't necessarily want to play in the orchestra, so I chose a band instrument," she said. Billow — who cites Charlie Parker, Kenny Garrett, Sonny Stitt, Eric Marienthal, David Sanborn, Art Pepper, John Coltrane and Sonny Rollins as her idols — didn't think about becoming a professional musician until she started studying under Chris Taylor, director of bands at Park City High School. "As I learned more about what jazz was and played it more, I liked it more and more," she said. A few years ago, she started taking private lessons from David Halliday, the director of jazz studies at Westminster College. "He and Mr. Taylor have really helped me get better at what I'm doing, and they are so cool," Billow said. Although the training from Halliday and Taylor has helped Billow develop her musical skills, she knows she still needs to work hard if she is going to become a professional musician. "One of the hardest things to do is finding the motivation to keep getting better and better," she said. "Time management is another challenge, because I've been learning how to balance the dedication I've given to music with a social life, good academic standing and a family life." The payoff, however, is worth those trials. The big one was last winter when the Park City High School Marching Band performed in Hawaii to commemorate the 75th anniversary of the Japanese attack on Pearl Harbor.